Update – The game has been released. 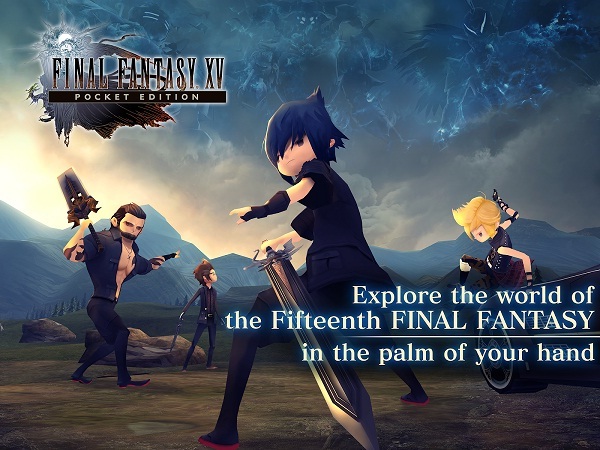 Final Fantasy XV Pocket Edition For Android Is Now Available To Pre-Register On Google Play Store. Here’s All You Need To Know About[Requirements]. This Final Fantasy 15th Pocket Edition Comes With 10 Awesome Chapters. You Follow The Chosen King On His Journey To Reclaim His Throne. Controls Of This Game Are Very Simple – Simple Tap – Tap To Fight/Move/Talk. You Play This Adventures Game With Cute And Cool Characters. 10 Different Chapters – 10 Different Locations. ※Some devices are not supported, even if the installed Android OS version is within the supported range. Status – Pre-Register. Category – Role Playing. Developer – Square Enix Co. Ltd. You Can Pre-Register This Game On Play Store, You Will Be Notified When It’s Available In Your Country.